So, the cold season has rolled around again and you are looking for something for the kids to do. Well, here it is! Winter word finds are a great FREE printable activity that will not only keep them from puddle jumping, but keep them learning without even knowing it. 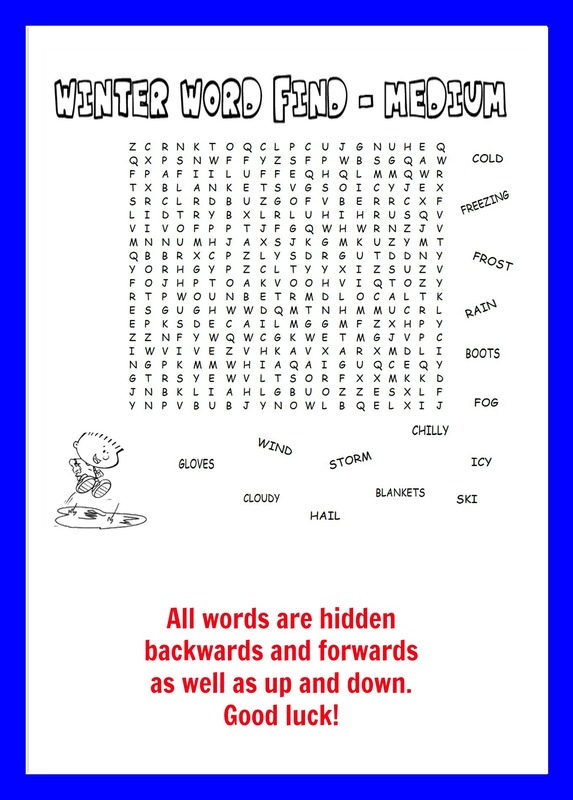 This winter word find has been designed for kids aged 6-8, who are a little more comfy with their words. All words have been hidden backwards, forwards as well as up and down so it will be a little more challenging for them to identify each word. Father’s Day Poem: Daddy, I love you!